Today's the beginning of Women's History Month. No better way to launch it than with an announcement of a "Celebration of International Women’s Day: Ensuring Women’s Equal Access to Education, Training, Technology, and Work," to be held from 6:30 to 8:30 p.m. on March 8 at John Jay College of Criminal Justice, City University of New York, 899 Tenth Avenue, Room 630T, New York City. Cosponsors include the college's Center for International Human Rights, Women's Center, and M.A. 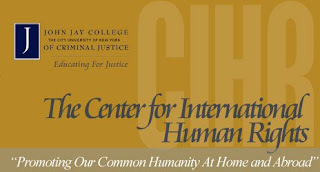 Program in International Crime and Justice. Serving as discussant will be Dr. Dorota Gierycz, Visiting Scholar at the Center for International Human Rights, John Jay College of Criminal Justice, and the first Head of the UN Gender Analysis Section. 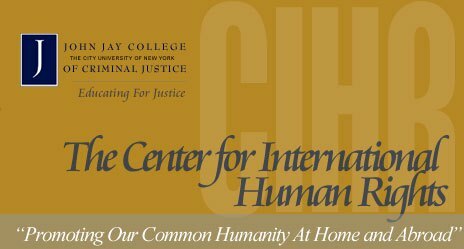 Moderating will be Rebecca Landy, Assistant Director of the Center for International Human Rights, John Jay College of Criminal Justice (to whom thanks are due for this notice). For information and to RSVP, e-mail Rebecca at rlandy@jjay.cuny.edu.